In the weekend packed with the surprises none of top seeded clubs concluded the first round in Men’s ETTU Cup on the leading position. Portugal’s Grupo Desportivo Dos Toledos upset the order and beat the top seed and the host, Spanish DKV Borges Vall. 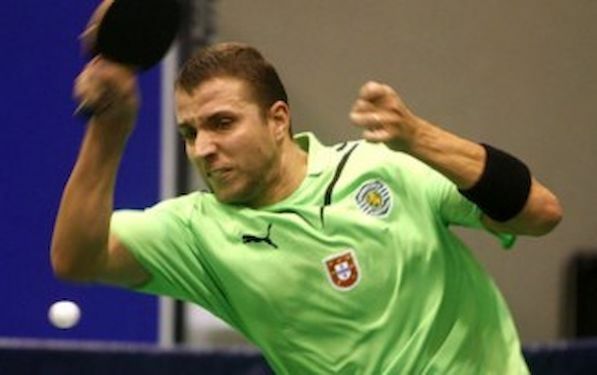 Portugal’s club concluded the competition in this weekend unbeaten; Turk Telekom Ankara Spor Kulubu and Belgium’s TT Vedrinamur also suffered by their hands. However, Borges booked second position to secure passage to the next round in October. In Group 2, also, top two clubs swap their positions. Seeded no. two Romania’s Mioveni beat top seeded Luxembourg’s DT Etzella Ettelbruck and both clubs progressed further. Italy’s ASD Marcozzi Cagliari and Turkey’s Ted Sports Club finished this year’s journey in ETTU Cup. In Group 3, favorites suffered even more. Serbia’s Banat Zrenjanin lost both their encounters against group winners: unbeaten Spanish Irun Leka Enea and Luxembourg’s Echternach. Clubs were seeded at position no. four and three and both progressed to the second round. In Group 4 Portugal’s Centro Social do Juncal, seeded no. 4 finished first round unbeaten. A top seed, Romania’s Campulung is second. Norway’s Fokus did not play due the injuries of two players.